…or like a fool, depending on how it actually performs in real life. Actually, when I first heard of the virtual keyboard, I was rather excited. I was thinking about Tony Stark’s awesome set up. Scenes from The Minority Report came to mind. It is something that I have been dreaming of for a while. The realist in me says that we are not going to have this kind of technology in the short-term, but it is very much possible to enjoy it in our lifetime. Then again, this virtual keyboard from Brookstone may be the beginning. 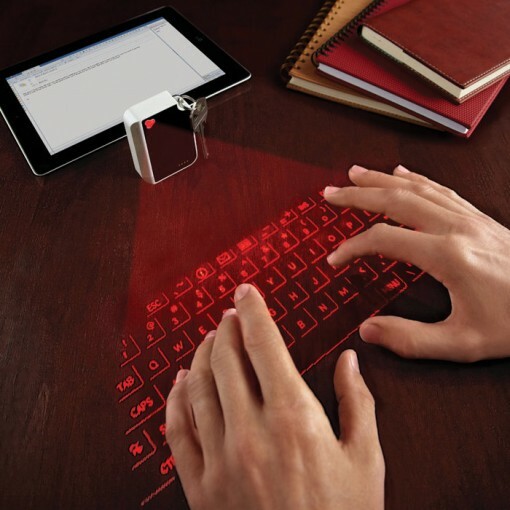 It’s technically a virtual laser keyboard, which works by projecting the keyboard on any flat surface. The projector comes in the form of a small keychain, making it very portable and not at all intrusive. 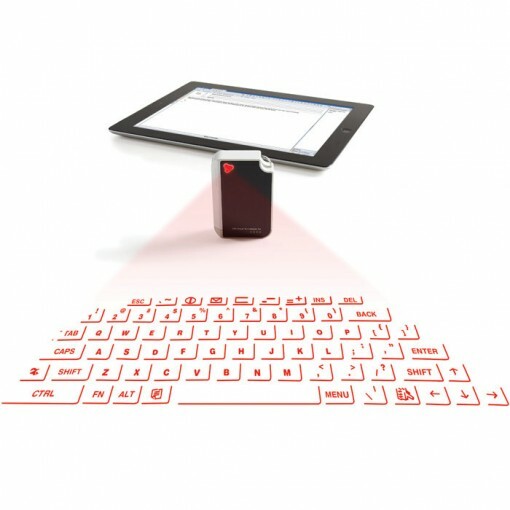 The virtual laser keyboard can be paired via Bluetooth with any smartphone, tablet, or laptop. Seeing those images of the virtual laser keyboard in action, it is very easy to see how it can work awesomely. It is also easy to imagine how the virtual laser keyboard can act up. Given that description, I can understand how the virtual laser keyboard may underperform at the best of times. Still, I am the kind who wants to experience things for herself before passing any judgement. And be honest, the mere concept of having a virtual laser keyboard is just too tempting to resist! Then again, with a $99.99 price tag, it might not be a smart idea to spend that much without being sure – especially with other highly rated keyboards available within the same price range. In case you do want to give it a go, check out the product page.